Fresh Coat of Paint: Ready for Halloween! Are you ready for Halloween? 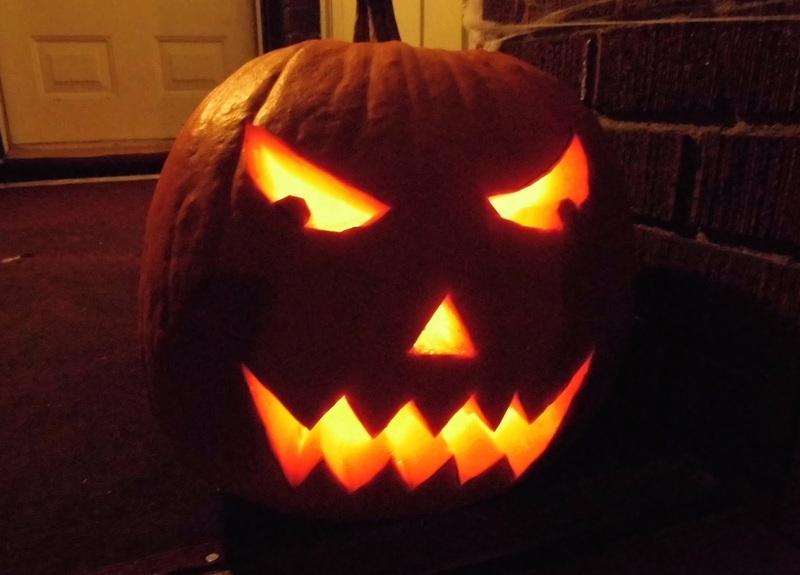 As I mentioned when I first posted about Halloween in SEPTEMBER, it is one of our favourite nights of the year! Halloween seems to combine most of our favourite things: kids, scary music, decorating, candy and make believe! What's not to love? We have been too busy this month for much DIY Halloween planning, but we were determined to celebrate our first Halloween in our new/old house despite our busy schedules. 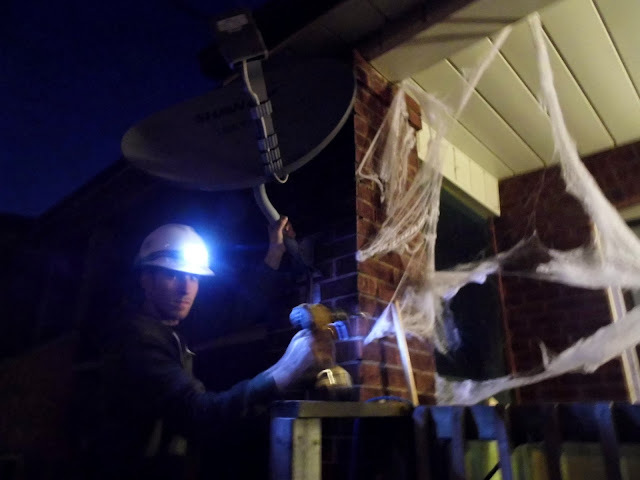 We rushed home from work today and Corey began by removing the ugly old satellite dish that we inherited with the house. I'll admit that this part wasn't 100% necessary, but it was a great excuse to do it! 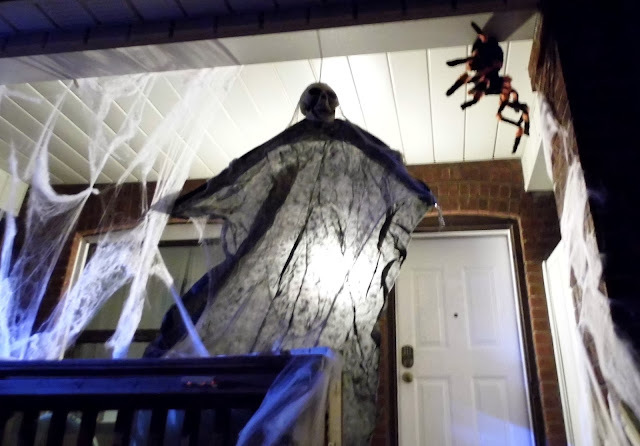 Then we hung Maurice (our skeleton) along with tons of spider webs and a giant spider that descends from his web when the motion sensor is activated. 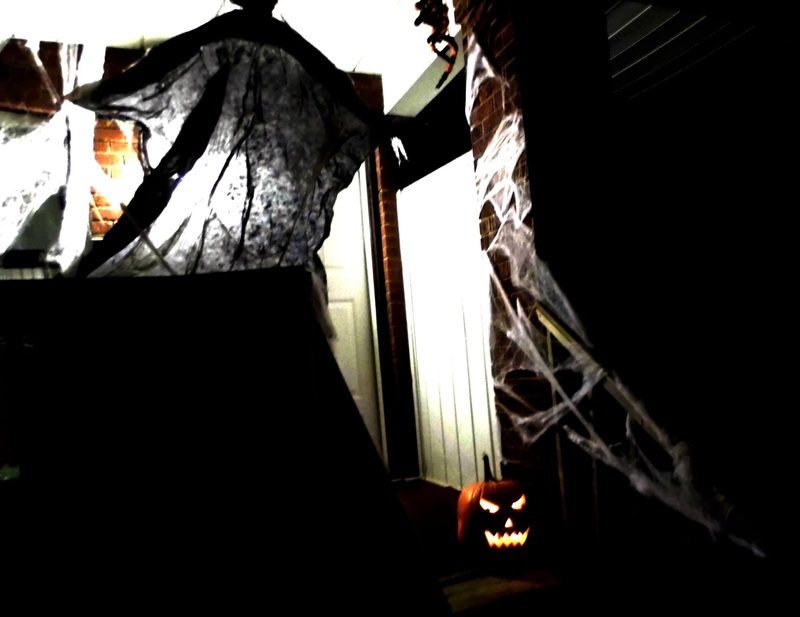 We also cut eyes out of toilet paper rolls and will use glow sticks to illuminate them tomorrow night. Corey has tons of scary music, which we'll play on a loop and we also have a strobe light and fog machine to set the mood. 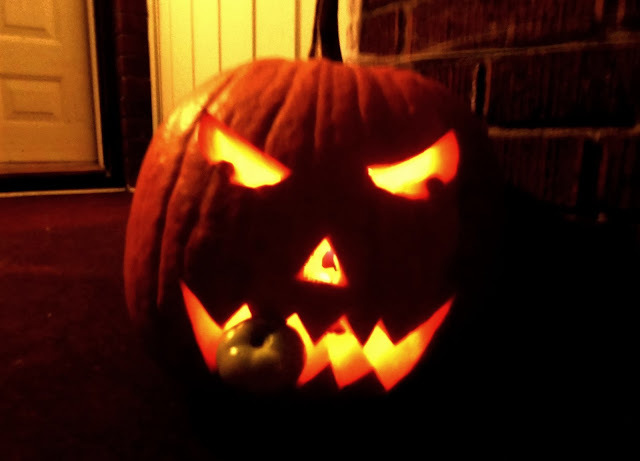 Corey expertly carved our pumpkin. ... And I added the finishing touch with a tomato from our neighbour's plant, which rolled into our yard. Waste not! All in all, we are ready for an exciting Halloween and it looks like I probably won't have to work! I always hate driving on Halloween because of all the kids who are out. I feel like it's safer for them if people try to stay home. 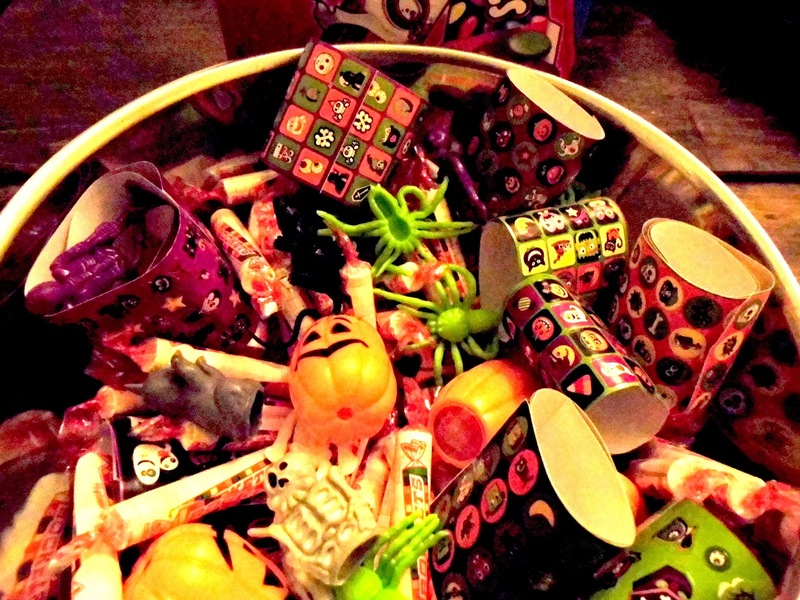 Do you remember going out on Halloween as a child? I always loved going to the houses with special lighting and music and I looked forward to specific houses each year. There was one house that always had eerie green spotlights and faux tombstones and I remember thinking I was so brave when I walked up to their door! This is what we're trying to recreate in our new neighbourhood. As for candy, we're doing the traditional nut free chocolate bars, but we're adding something extra. Corey and I have a few friends who have children with severe allergies, so we made a point of buying non-edible items like stickers, finger puppets and kaleidoscopes to add to our Halloween goodies!